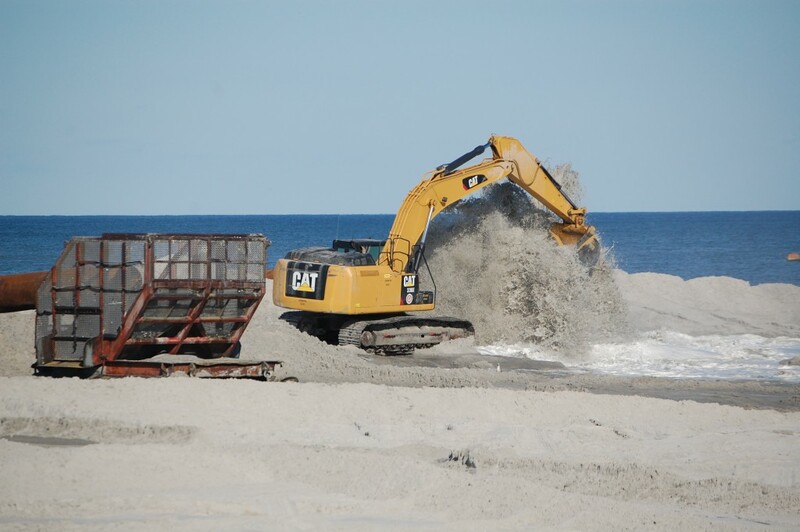 A $150 million project to replenish beaches and build engineered dunes up and down Ocean County’s northern barrier island went out to bid this week, officials announced Thursday, with work expected to begin by spring. The project, long held up by the refusal of some oceanfront homeowners to sign easements allowing the dunes to be built on privately-owned sand, will move forward nearly four years after Superstorm Sandy ripped a hole in the island at Mantoloking and devastated Ortley Beach and other communities. The project was announced by federal, state and local officials at the Ocean Beach firehouse in Toms River’s North Beach section. According to Stephen Rochette, spokesman for the U.S. Army Corps of Engineers Philadelphia District, the bids will be opened Oct. 26, with an award to follow in the “early winter” time period. Depending on the availability of dredge equipment, work is expected to begin during the winter season – by spring – and last for 490 days, only a 24 hour, seven day per week basis. Lt. 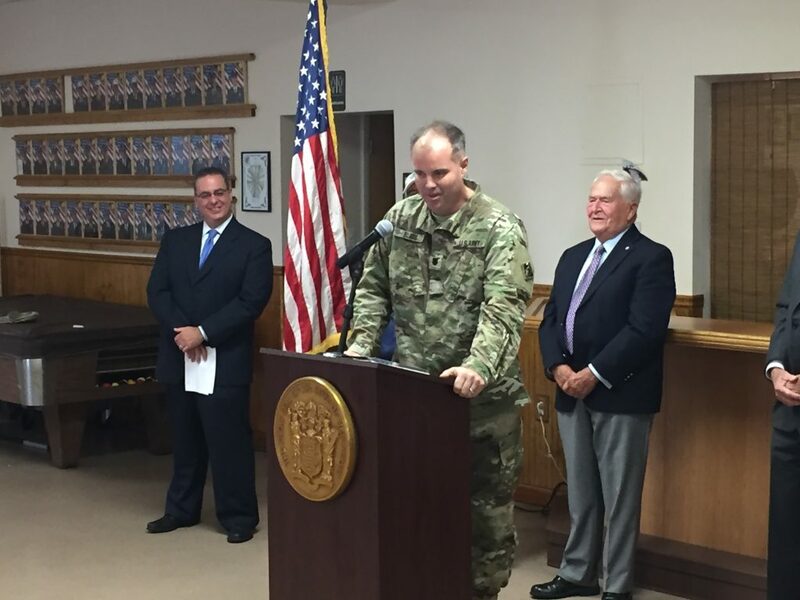 Colonel Michael Bliss, commander of the Philadelphia Army Corps district, said the bid specifications do not dictate which island communities will receive dunes and sand first. Likewise, Bliss said, there was no way the project could be designed to avoid specific areas during the summer season, however crews working on the project generally close a single block of beachfront at a time, so beachgoers and vacationers could easily simply use the next street’s sand. Toms River Mayor Thomas Kelaher said that after Sandy struck, he made it is his mission to obtain the funding to complete the project. A brigadier general who visited told him, he said, that had beach replenishment been in place before Sandy, the island would never have breached at Mantoloking and thousands of homes would have been saved from flooding. Bliss said he understands questions as to whether the sand will eventually be lost to future storms, however replenishment is the best way to protect New Jersey’s shoreline.